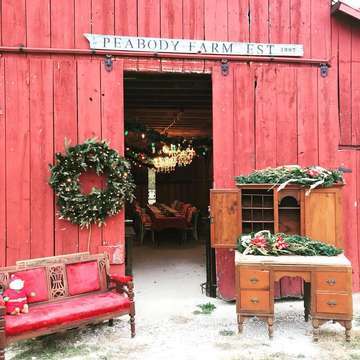 Enjoy a festive night out with friends & loved ones in one of the coolest hangouts in SW MO. We have transformed the Pumpkin Patch into a fresh cut Christmas Tree Patch. We're ready for the cooler temperatures! We still have the fire pits, cozy blankets, and fun games. We've added lots of holiday decor to get you in the holiday spirit! Wearing your "ugly Christmas sweater" will get you a complimentary s'mores!! Just 3 dates: December 2, 9, & 15th. This time it's BYOD (bring your own drinks). PLEASE RSVP if eating...We will provide a meal & music for $15.00 ($10 online, $5 at the door). If coming out to enjoy the space & music only, no meal, it's $5 paid in advance online (limited seating). And again, this is an ADULT event please. We have designated "Family Fun Days" to include the kiddos.